Home / need to opt images still / supplies / Can you use tempera paint on rocks? If you are brand new to painting rocks, your first instinct is likely to look around at what you have at home in your craft cabinet. 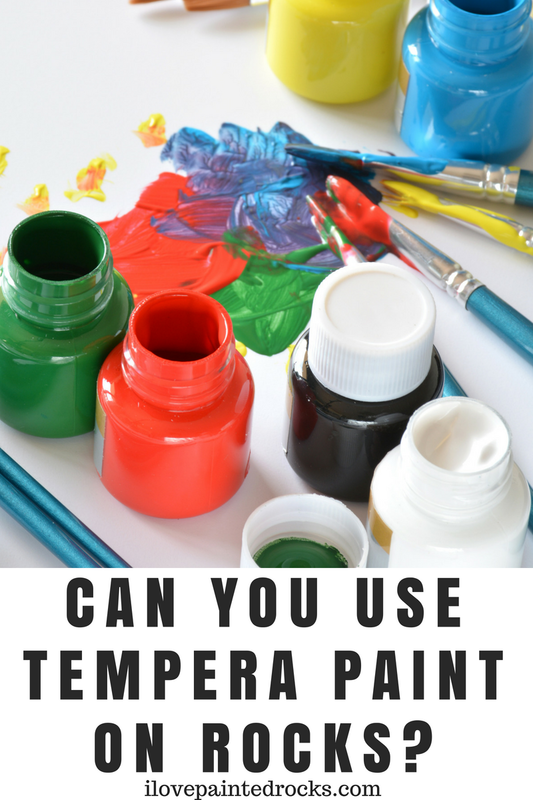 If you have kids, tempera paint is probably something you have on hand! Should you use tempera paint for painting rocks? Let's talk about it! Tempera paint is a water-based paint that is popular in schools and for crafting with children. It is inexpensive and widely available at just about any store that carries craft supplies. Tempera paint is a creamy consistency that mixes well. It is considered an ideal paint to use on porous and semi-porous media like paper, cardboard, posters and poster board. It usually dries to a matte finish, although other finishes are available. Tempera paint can re-activate with water. That doesn't necessarily make it washable (the pigments can still leave permanent stains!) BUT if a project painted with tempera paint gets damp, the paint might start moving around or rubbing off onto other things. Should you use tempera paint on rocks? While it is definitely possible to use tempera paint on rocks, if you are ever going to place the rock outside, it is absolutely critical that you use a spray sealer over the tempera paint. Due to its ability to reactivate with water, if your tempera painted rock were to ever get wet, the paint will be able to rub off onto other things. What a disappointing experience for the finder! 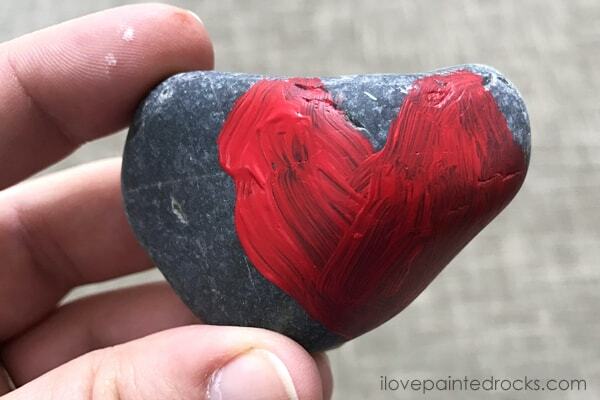 When we paint rocks to leave outside for others to find or enjoy, we don't want their joy to be ruined by a rock whose paint rubbed off onto their skin or clothes! I recommend applying at least two coats of outdoor safe, clear acrylic spray sealer over any rocks painted with tempera paint. To learn more about how to seal rocks, check out our article on how to seal painted rocks. What kid safe paints can you use to paint rocks? Each of these paints is non-toxic and easy to clean with just soap and water while the paint is still wet. Once the paint is dry, each of these paints is "self sealing" - meaning it will cure to a durable, outdoor safe finish without a separate spray sealer. These are my preferred paints to use when painting rocks with my kids. To learn more about my favorites paints to use on rocks, check out What kind of paint do you use to paint rocks?